Und welches Kaliber schwebt dir da vor? Zuletzt geändert von theoderich am Di 9. Apr 2019, 17:49, insgesamt 1-mal geändert. The Defence General Munitions Team, part of UK Ministry of Defence (MoD), intends to place a procurement with Hirtenberger Defence Systems for 60 mm Mortar Ammunition. This will consist of an Framework Agreement of a duration of 3 years core with options to extend by up to 2 years, with a value of 10 000 000 GBP. Hirtenberger Defence Systems are the supplier of the original goods, and current stockpile, and have satisfied MoD standards for Safety and Suitability for Service. Hirtenberger have the technical knowledge and documentary evidence which is necessary for upholding the safety standards required by the MoD and therefore fulfil this requirement. No other supplier would be able to pass the Standards and Suitability for Service tests, containing the REACH compliant fuse that will be S3 qualified, within the timescales required by the MoD to fulfil this operational requirement. Obtaining goods from any other supplier would result in incompatibility with the existing goods and create significant interoperability issues for the weapon system which this requirement supports. Das ist der erste Exportauftrag für ESL der mir bisher untergekommen ist. The Royal Danish Army received its first production standard Piranha 5 and Eagle 5 armoured vehicles on 27 March, the Danish Ministry of Defence and General Dynamics European Land Systems (GDELS) have announced. The official handover marked the beginning of deliveries of 309 production standard Piranha 5s ordered under a USD650 million contract in December 2015. The Piranha 5 underwent a series of trials conducted by the Defence Acquisition and Logistics Organisation (DALO), after initial deliveries were made in 2018. Danish Defence Minister Claus Hjort Frederiksen stated, "Our soldiers need modern equipment that meets the demands of the future battlefield ... With these vehicles I am confident that we can stand up in the future." 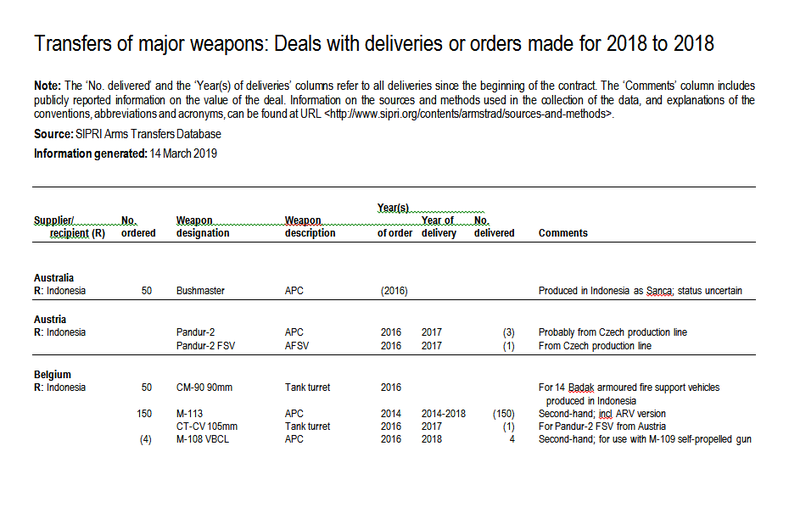 Deliveries of the Piranha 5 are expected to be completed by 2023 in six variants: command, armoured personnel carrier (APC), ambulance, recovery, engineering, and mortar platform. There will be at least 15 of the latter, carrying Austrian company ESL Advanced Information Technology's (ESLAIT's) 120 mm Advanced Automated Autonomous Mortar System (A3MS) selected in 2016. At Eurosatory, Hirtenberger Defense Systems (est. 1860, and often referring to itself as ‘The Mortar Company’) presented a product-related collaboration-project with ST-Engineering Kinetics (their former Land- Systems Department) from Singapore, centred around their futuristic 120mm SRAMS or ‘Super Rapid Advanced Mortar System’. Through HDS’s UK office, the organisation targeted the European market, an otherwise difficult prospect for a medium-size company from SE-Asia. The fire-control system and various types of NATO-qualified ammunition have already been approved in Europe thanks to the Austrian element. Among the munitions, in addition to smoke, light- or IR-(parachute) bombs, they now offer a highly explosive solution in the form of HE CONFRAG Mk.3, with 60 percent increased splinter effect (or, using the technical term, lethality). CONFRAG is also offered for the 60mm and 81mm launchers in the HDS portfolio. On the other hand, in utilising a heavier system like a 120mm, larger vehicles or more support-vehicles are required to carry a sustainable amount of ammunition. And with CONFRAG you need less ammunition, which will make a difference in the 120mm mortar market. Prior to the agreement with HDS, the SRAMS system already became operational with the Singaporean Armed Forces on the Bronco all-terrain tracked carrier (ATTC), and with the UAE on its Denel OMC RG31 Mk.6E mine-protected armoured vehicle (MPV), called the Agrab (Scorpion) MK2. The UAE bought 46 Agrabs in a 2007 contract, then worth 390 million Dirham (US$ 106m). The 3-man operated 10-ton vehicle carries 46 mortar rounds in two carousels and has two further racks for another 12 rounds. While TV images captured the system deployed in the Yemen War, UAE’s ammunition is not from HDS but from local manufacturer International Golden Group. HDS’s fully electronic Arc Fire fire control system – with components from Rockwell Collins – allows a completely autonomous use of the effector and opens up a range of application variants. The computer-assisted fire control automatically takes the data from the handheld of the forward observer – who may be out in the field dismounted or in another vehicle (or a helicopter) – and marks targets up to a distance of 9,000m out while computing the relevant ballistic data. It uses laser target acquisition, a GPS navigation system and a digital map. Paris witnessed HDS-mediated live firing demonstrations, which would otherwise have been difficult to organize in Europe for the ST team’s chief engineer James Teow Soon Ng and General Manager Chor Kiat Tan. Similar tests were witnessed in September at the Austrian Federal Army‘s firing range in Felixdorf, run by their department of armaments and defence technology. At only a few kilometres from HDS head office and production site in the Triesting valley south of Vienna, guests included military, government and industrial representatives from countries such as Germany, Latvia, Estonia and Slovenia – all potential customers that the Singaporeans get less opportunity to meet. Defence Industry Bulletin was also in attendance. Because of the rigid (yet understandable), safety requirements of the Austrian military, only (blue) training ammunition with a correspondingly small target-marking charge was allowed to be used in these demos. Therefore expectations of intense, shattering firepower were replaced with tiny grey puffs that were barely visible to the naked eye at observer distances. However, what was demonstrated very well – thanks to two loaded grenades during a fast-rate firing of up to 10 rounds per minute – was the semi-automatic loading-system (ALS) which lifts the ammunition along and over the mouth of the 2.1 m long barrel and its double-sided muzzle blast diffuser in seconds, inserting it from the front. The diffuser reduces the high blast overpressure to below the allowable limit for the crew to operate safely during prolonged or rapid firings. Nevertheless, any trade-off between mobility and firepower calls into question the size of the mortar and the concept of its operational deployment. A heavier system – like a 120mm – might require a larger vehicle to carry a serious amount of ammunition. While SRAMS can be installed and operated on a 4×4, this case will likely require a higher number of additional support vehicles for a successful deployment. 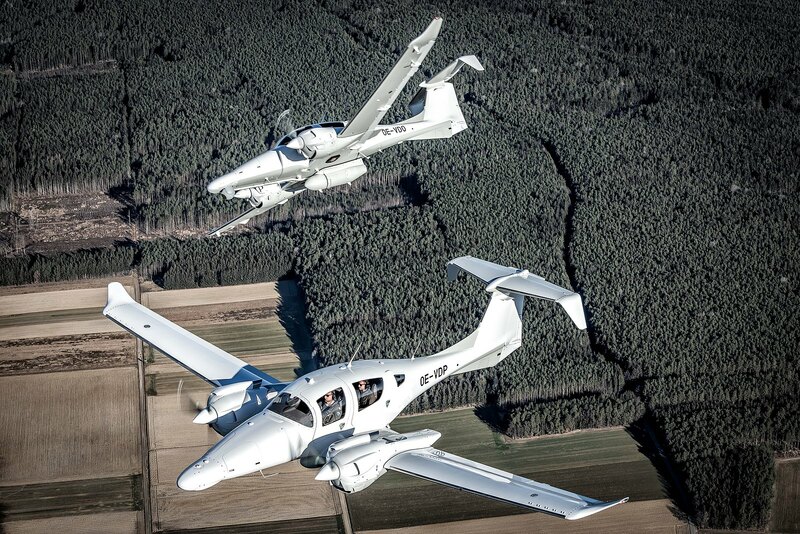 This may, in turn, lead to higher support costs and an increased number of crewmembers to operate a single unit. Therefore, to introduce such a concept remains a question of assessment. U.S. Special Operations Command has laid out the first basic requirements for a new light armored vehicle to give elite American forces added protection, firepower, and mobility over even their heaviest mine-resistant trucks. These would replace an obscure fleet of Austrian-designed wheeled armored vehicles that the U.S. Army’s Delta Force, among others, has utilized over the past two decades. They could also supplant the Stryker armored vehicles assigned to that service’s 75th Ranger Regiment, which made a notable appearance in northern Syria two years ago. Logan Kittinger, Special Operations Command’s (SOCOM) Deputy Program Manager for Family of Special Operations Vehicles (FOSOV), first revealed the Next Generation Armored Ground Mobility System (AGMS) program at the National Defense Industry Association’s (NDIA) annual Tactical Wheeled Vehicles Conference on Feb. 4, 2019. This is similar in many respects to the existing AGMS, which is a variant of the 6x6 Pandur I light armored vehicle that Austrian conglomerate Steyr-Daimler-Puch Spezialfahrzeuge, or SSF, first developed the in the 1980s. These vehicles have a crew of two and can carry seven additional personnel. They have a gross weight of around 30,000 pounds and are also C-130 transportable. 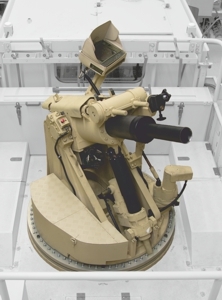 A remote weapon station with an electro-optical and infrared targeting system would also offer the ability for added situational awareness while operating in a buttoned-down configuration, but only in the direction that the turret is facing. Added optics, or even a more advanced remote vision system consisting of cameras placed around the vehicle, would offer additional visibility. This would be valuable, especially in an urban environment, where threats might quickly pop up to attack a blind spot from one or more directions before darting back behind cover. Improved situational awareness could also involve the installation of improved communications and networking capabilities. This would allow the crew to quickly share information about their position, enemy movements, and other items of interest to build a better picture of the battlefield around them. A remote weapon station could be an easy path to adding increased firepower, as well. The original AGMS can only carry one heavy weapon, such as a .50 caliber M2 machine gun, 40mm Mk 19 automatic grenade launcher, or TOW anti-tank missile launcher at a time. As of 2017, at least one had received a remote weapon station of its own. In 1999, the Army awarded a $51 million contract to A.V. Technology, working with both General Dynamics Land Systems and SFF, for up to 50 AGMS. This team of companies reportedly only delivered 12 of the vehicles under this contract in 2000. SOCOM then received a second tranche of 11 vehicles in 2006. Though it’s too early to tell what vehicles SOCOM might be interested in for its next light armored vehicle, it might make sense in the interim to simply acquire additional Strykers. These vehicles are in production and have benefited from a variety of Army-funded upgrades. Another option might be to acquire lighter 8x8 LAV-25 vehicles from the U.S. Marine Corps. The Army’s 82nd Airborne Division has already gone this route as part of its effort to add additional protection and firepower during airborne operations. Both of these vehicles are significantly larger than the Pandur, which might make them less attractive as a direct replacement for the AGMS. A new vehicle with a similar footprint to the existing AGMS could have the advantage of being able to operate more discreetly than a larger design, as well as maneuver through tighter spaces, especially in an urban environment. A lighter vehicle might also be easier for special operations forces to support logistically, especially during extended duration operations separated from more established supply lines. - sowie gute Beweglichkeit im urbanen Umfeld. - Gleichzeitig aber auch ein ‘echter’ 6x6 Radpanzer mit besserer Geländegängigkeit als die diversen MRAPs und gepanzerten Jeeps bei ähnlich vielen PS/t dank großzügiger Motorisierung. Die Waffenstation ist wohl die kleinste Übung und für das ÖBH wurden ja nun auch die im Bericht angesprochen Rundumsichtkameras eingerüstet.